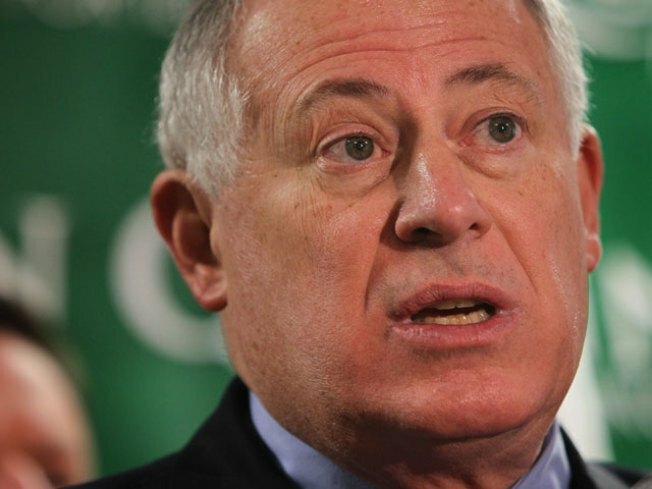 Newly elected Illinois Governor Pat Quinn Thursday signed into law a highly unpopular 66 percent tax hike. Illinois lawmakers early Wednesday voted to raise the state income tax rate from 3 to 5 percent. "To have a strong economy you have to have the state of Illinois in good fiscal shape," Quinn said in defending the hike. "It's designed to make sure that we do pay our bills ..."
The 66 percent hike in personal income tax is an effort to deal with the state's staggering budget crisis. With an additional raise in corporate tax rate, the hike is expected to generate about $6.8 billion dollars a year for the state. The income tax increase is the largest in Illinois state history. The Illinois Senate approved the measure early Wednesday morning by a vote of 30-29. The House approved it late Tuesday. The tax package could generate about $7 billion a year, enough to balance the annual budget and begin chipping away at a backlog of unpaid bills. Also baked into the plan is a scaled-back rise in business taxes, boosting the 4.8 percent corporate tax rate to 7 percent instead of 8.4. It also proposes a spending-increase cap of 1.7 over the next four years. If spending grows more than two percent a year, the income tax increase would immediately be canceled, officials said. Business leaders decried the proposal, calling it a job-killer. Raising the personal tax rate triggers a corresponding jump in corporate rates.